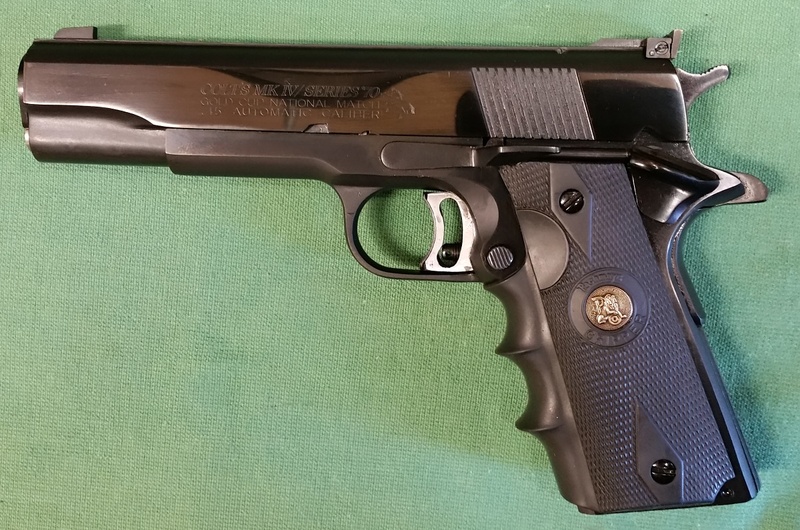 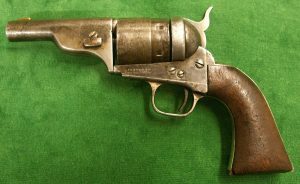 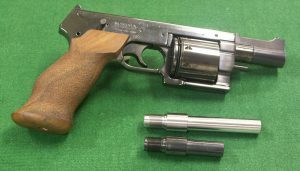 Gunsmithing Projects - Rusty Wood Trading Co.
January 2019: Another project just completed; Factory original Ruger Super Red Hawk converted to a sweet packing pistol for customer with a good thump of the 454 CASULL. 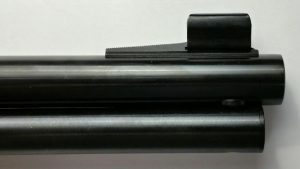 Shortened barrel, remounted sight ramp, machined flats on barrel, bead blast two tone finish. 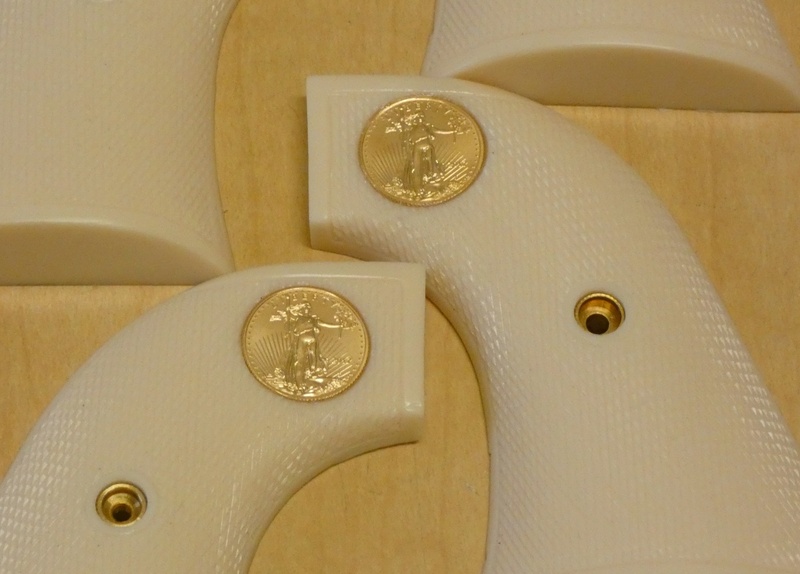 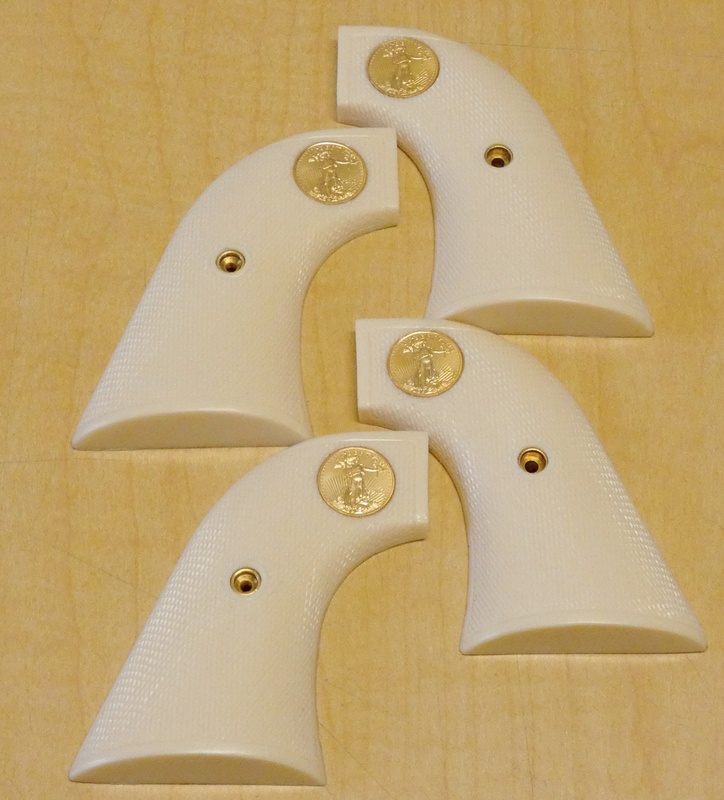 Fully tuned action for smooth reliable trigger pull. 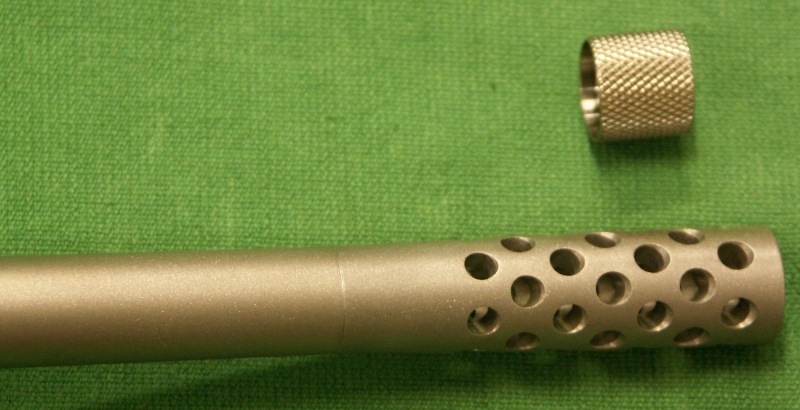 Kermode KB3- Titanium installed onto that little stub of barrel exposed past mag tube. 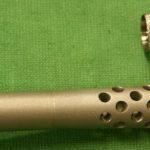 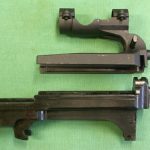 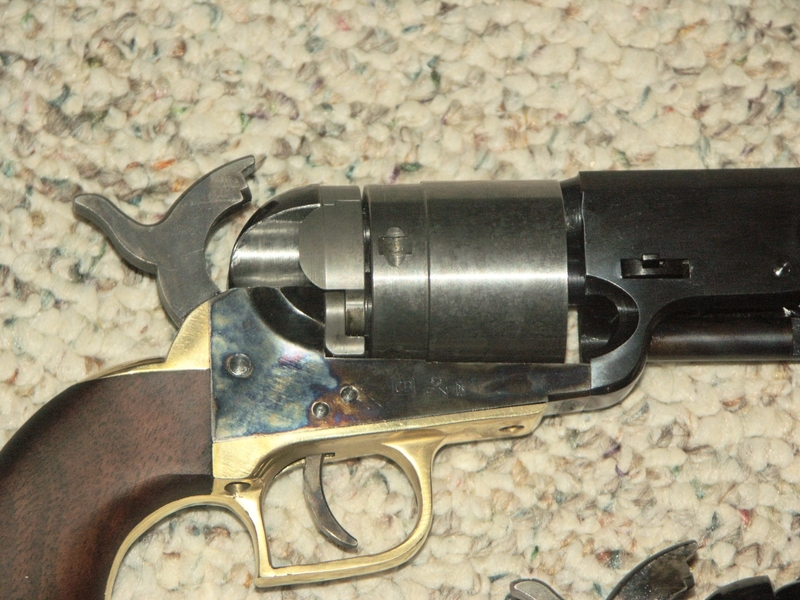 Piece was received in poor condition, not functioning with broken back strap and 7.5″ bbl. 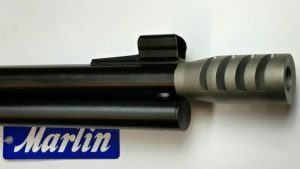 Customer requested cut barrel to 4.75″ and full tuning with re-blue. 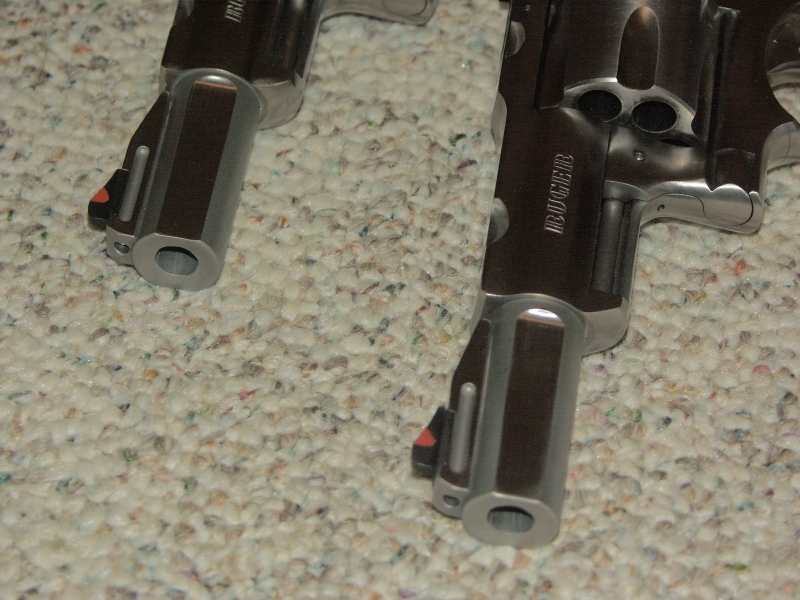 Complete rebuild of action, custom fit new back strap, bluing of complete piece and custom installation of grips. 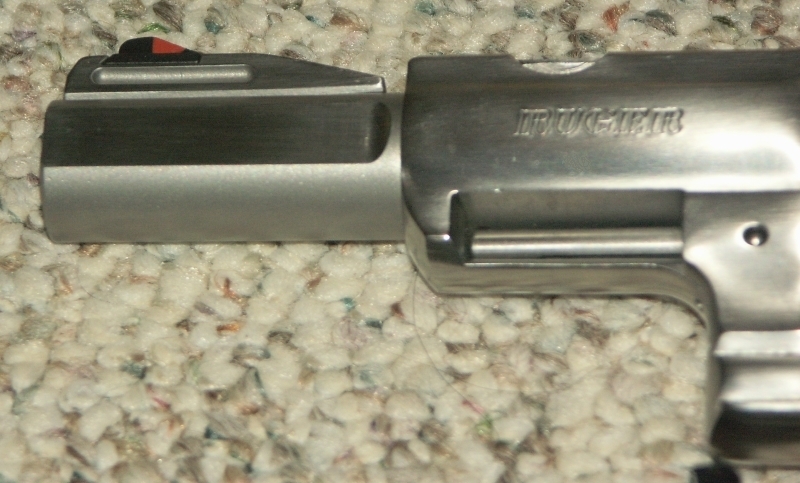 Installed longer barrel to existing barrel to keep serial #’s matching and added custom ejector rod assembly. 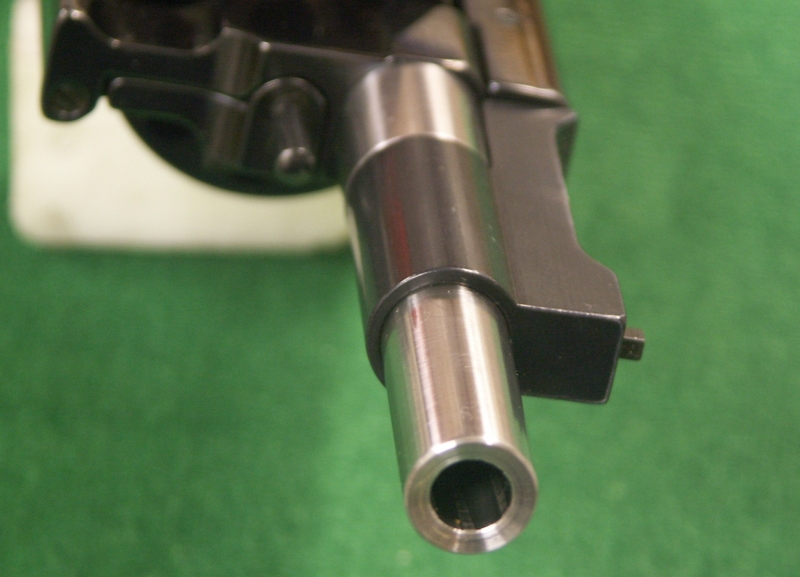 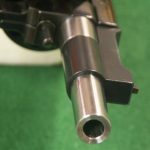 November 2015 : Luger P-08- Completed replacement of short barrel with 4.2″ restricted new barrel. 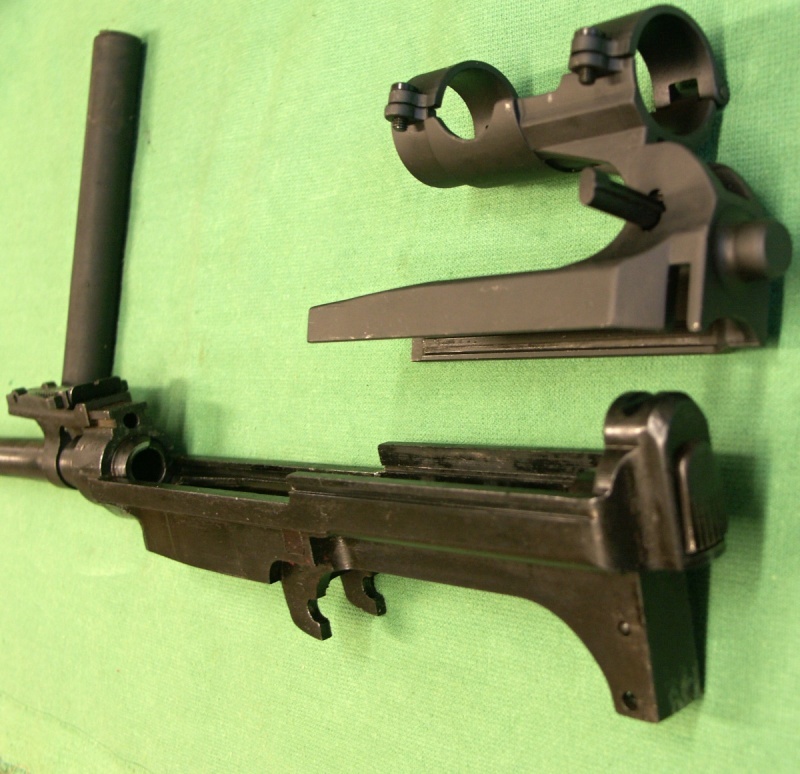 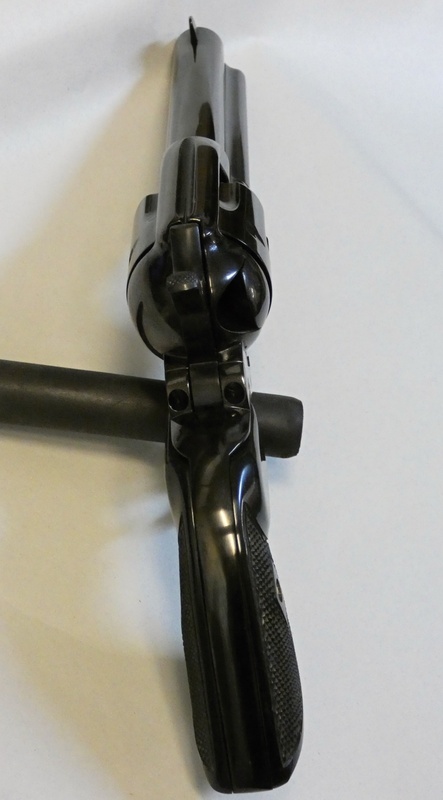 October 2014 : Johnson Automatics- Model 1941 Completed full repair & restoration on rare 1941 mfg. 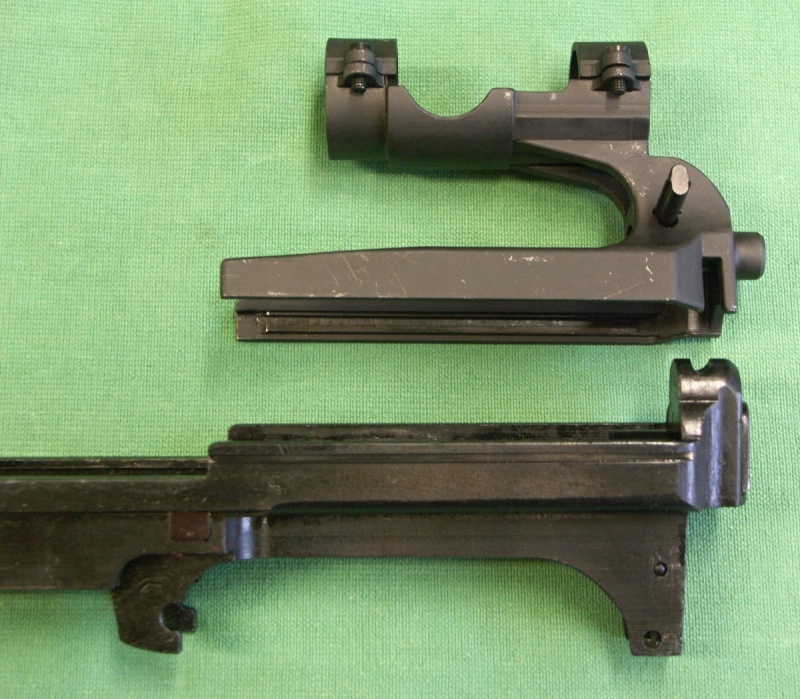 WWII rifle. 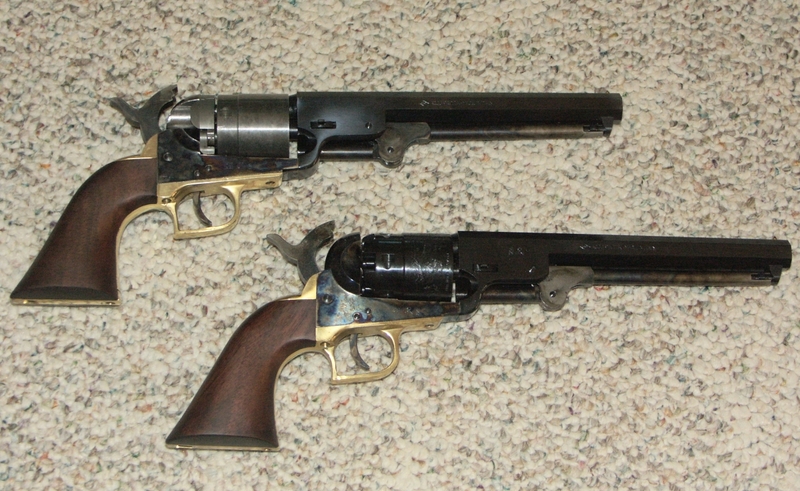 April 2013: Yukon Prospector © – Custom tuned Marlin 1895 package with removable muzzle brake and many extras. Available on special order. 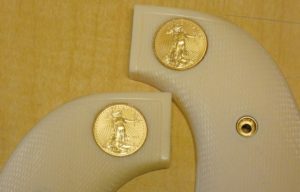 Call to inquire. 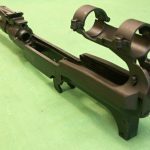 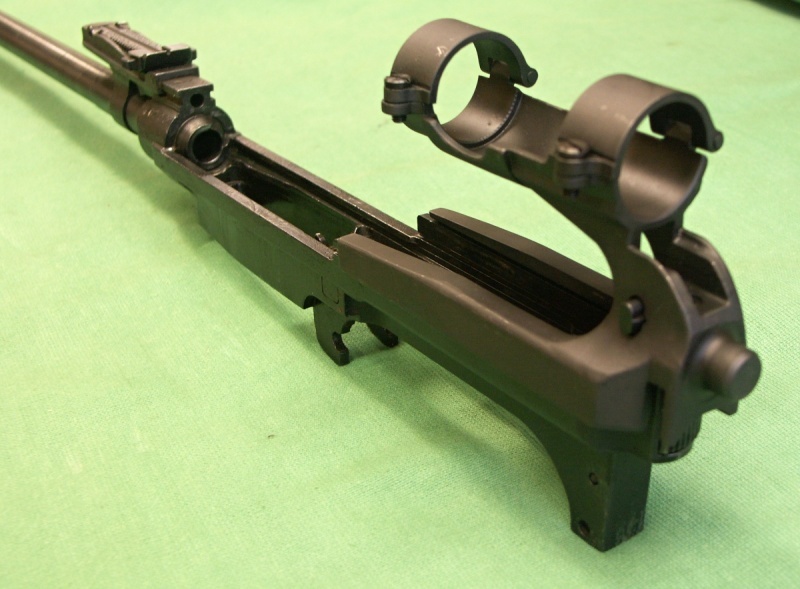 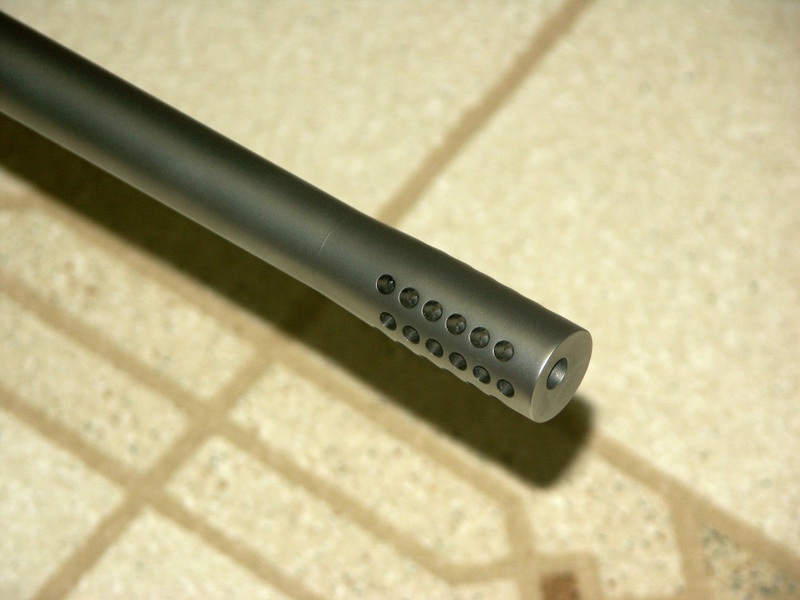 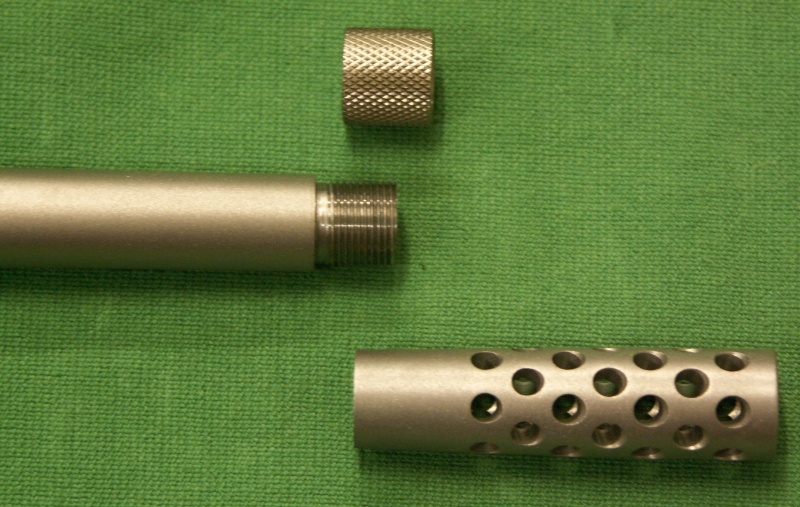 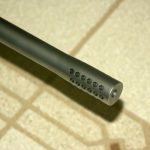 Jan 2012: Supplied and installed Varmint muzzle break on Tikka T3 target rifle. 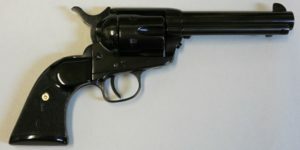 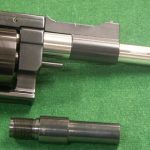 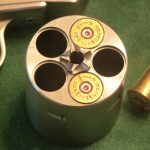 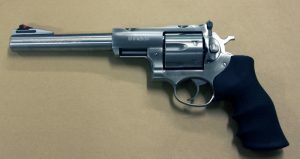 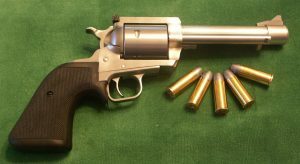 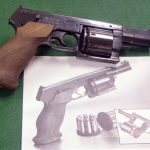 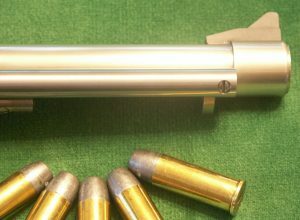 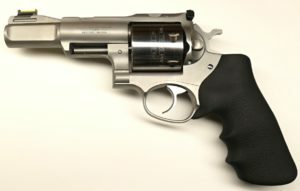 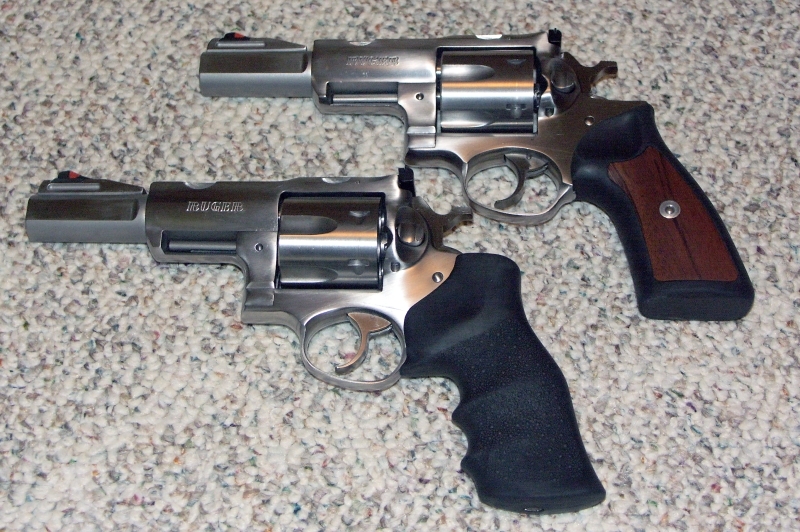 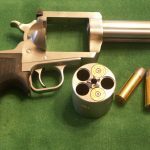 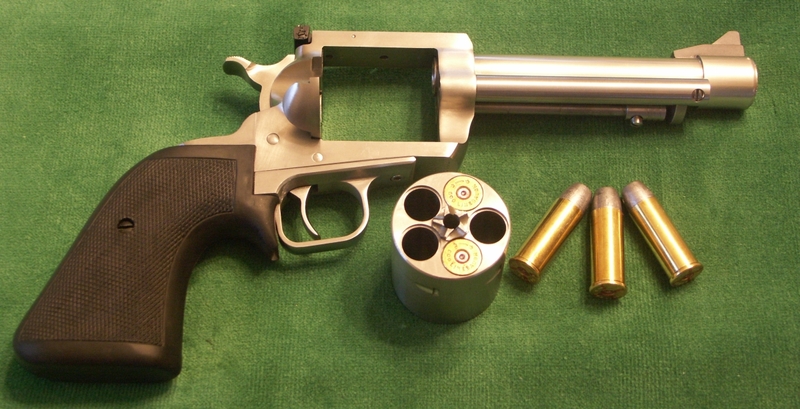 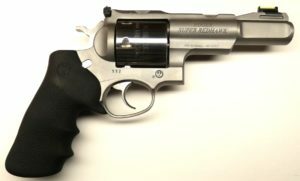 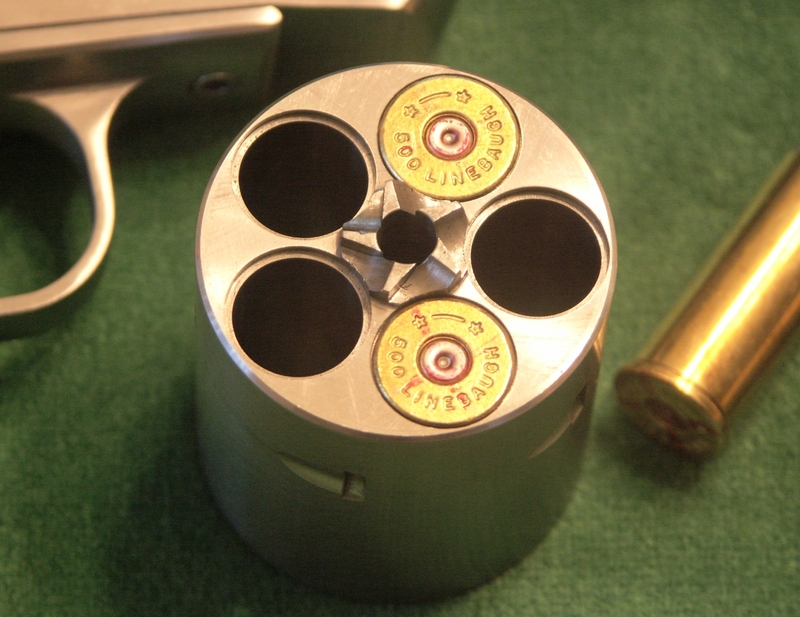 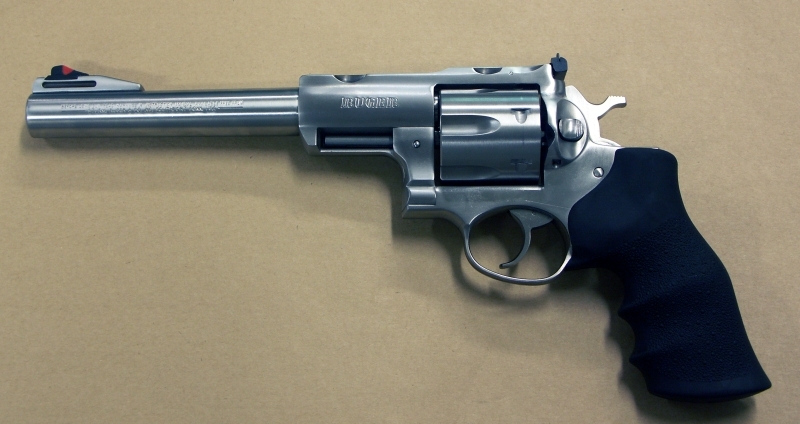 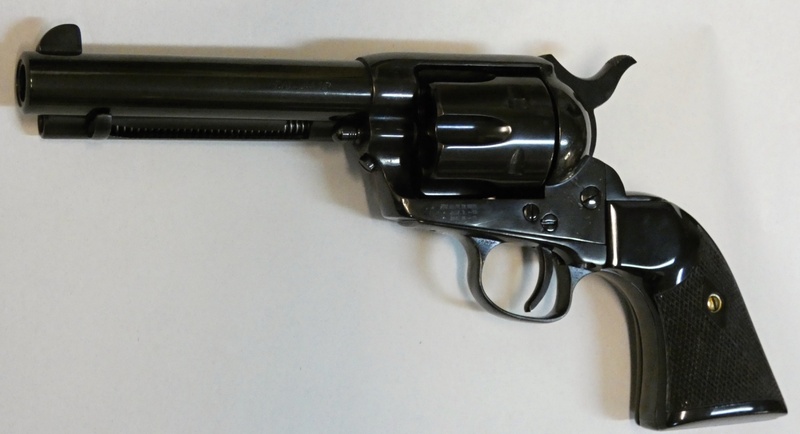 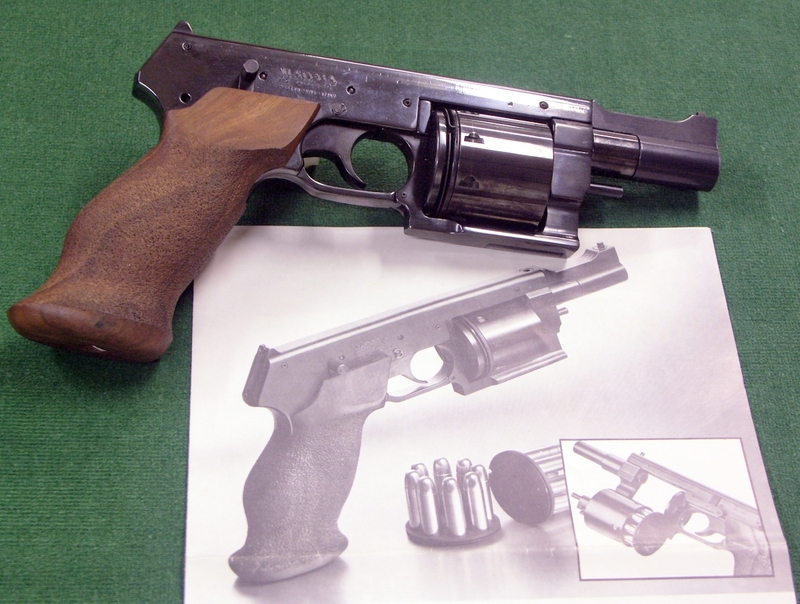 June 2010: On request, custom converted Magnum Research BFR revolver from 454Casull to 500 Linebaugh. 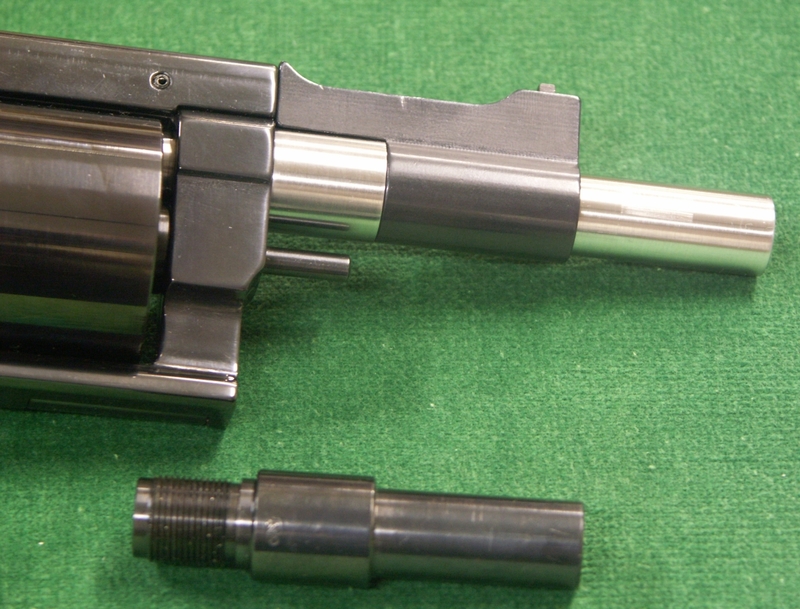 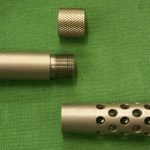 Custom turned new barrel blank with integral sight support ring & reamed cylinder chambers with recessed rims. 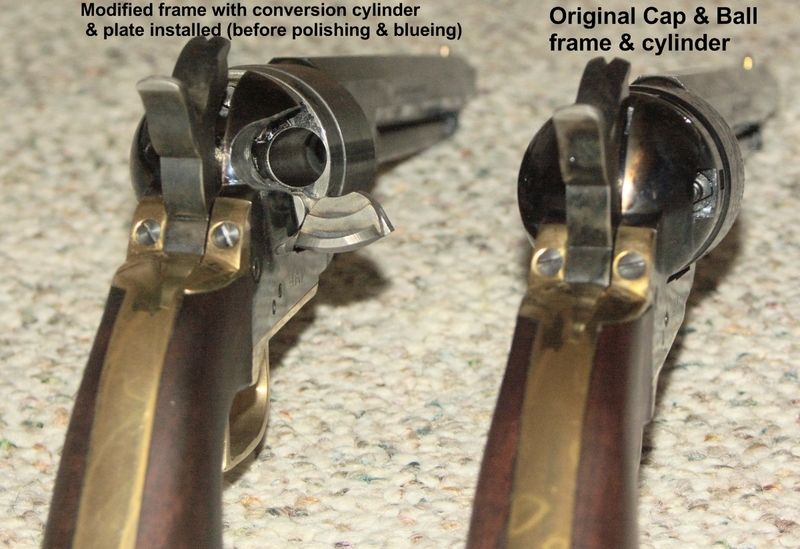 tight cylinder to barrel gap & 11 degree forcing cones. 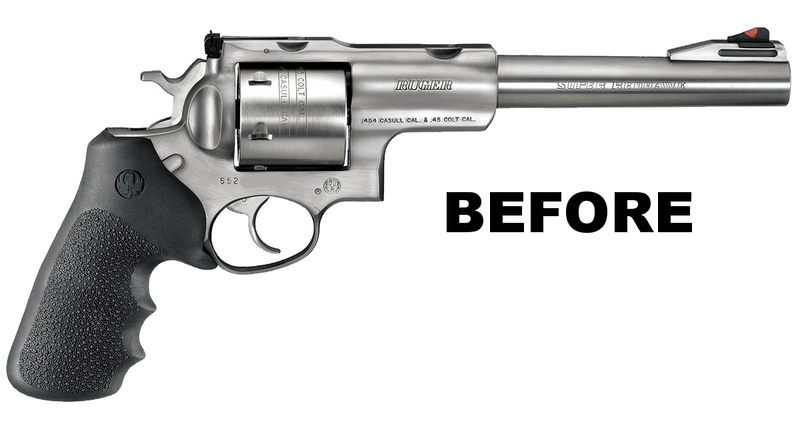 Note: pictures taken before bluing and final installation. 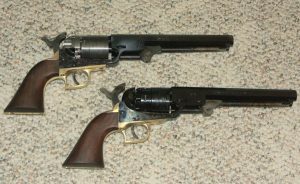 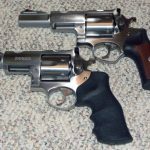 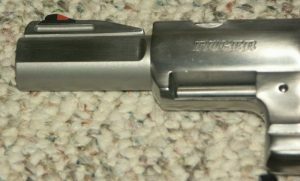 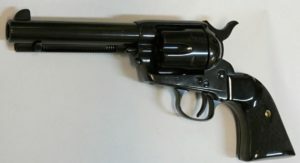 July 2009: On request, custom transformed two factory long barrel Ruger Super Redhawks into 4.75″ Mountain guns with two tone barrels and 79 degree target crowns.